Bed And Breakfast129 sq. ft.
B & B Villa Anaclerio is an elegant villa in a private Residence 1 km away. from the sea, railway station at 900 mt. for connections to Bari and the main tourist resorts (Polignano, Monopoli, Brindisi and Lecce), a private bus leaving the center of Bari. Transfer (upon payment of a supplement) to the airport, city center or tourist destinations in the area. Private pool with solarium for the exclusive use of the owners of the b & b and guests of the same. The Sapphire room is isolated from the rest of the villa, with a French double bed, wireless, air conditioning, its bathroom in relation to the rest of the house makes it more intimate. We spent a week at Francesca’s villa and had the most fantastic time. The villa and pool are beautiful, and well located to visit Torre a Mare and other nearby towns. We came without a car and had no problem using local trains to travel anywhere we wanted. Francesca was the most delightful host and made us feel completely at home. She helped us with recommendations, transport and anything else we needed and was generally a pleasure to be around. She made a delicious breakfast for us every morning and brought various local treats for us to try. Overall I can not recommend this villa or Francesca highly enough and wouldn’t stay anywhere else if I was visiting this area again. Io e mia sorella Loredana siamo state felicissime di avere ospitato Tamsin e Jack. Sono ragazzi deliziosi e sempre interessati a integrarsi con la nostra famiglia e con gli altri ospiti del b&b. Spero di poterli rivedere presto. 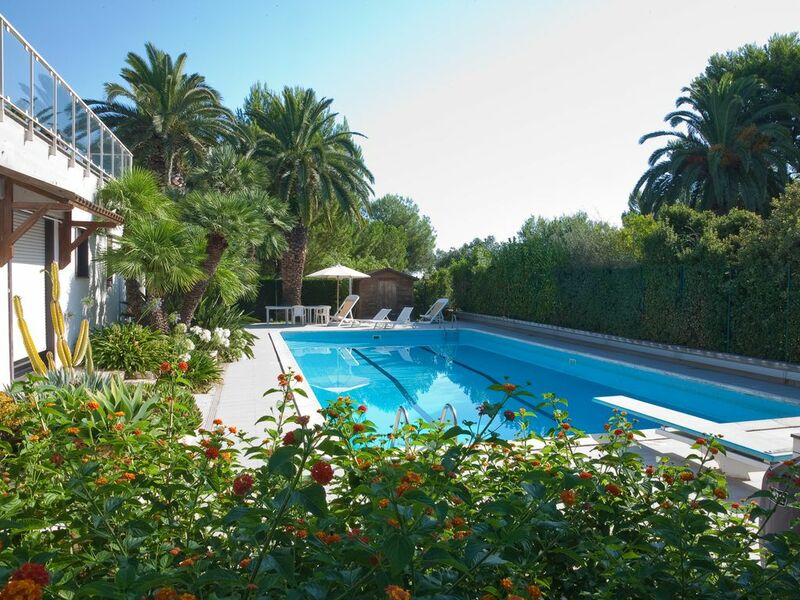 A nice decorated villa in a nice neighbourhood with a beautiful swimmingpool and garden. Its a beautiful place with lovely owners, three Italian sisters, who really make you feel at home. They give you a lot of information about the area. You need a car to visit and explore beautiful, lovely Puglia. It was a great experience! I enjoyed it a lot! Irma è una splendida persona, pronta sempre a relazionarsi con noi della famiglia e con gli altri ospiti. Speriamo di poterla rivedere presto.